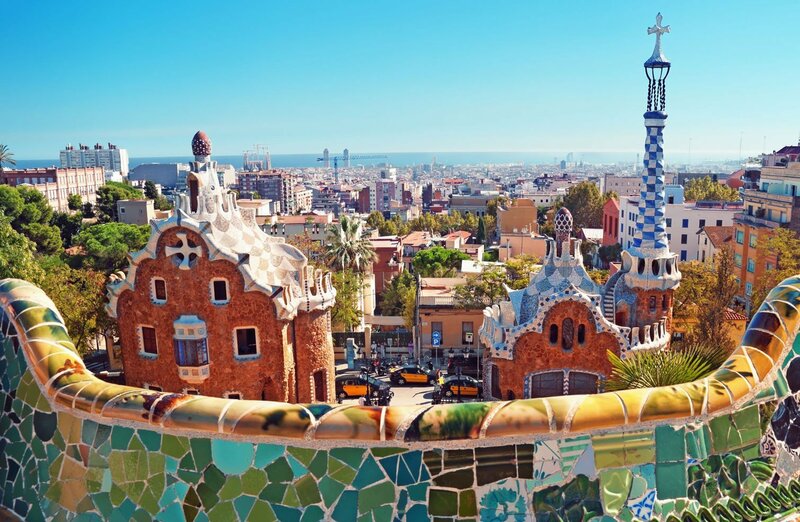 As you may expect from a city such as Barcelona, there is an abundance of ways to get around, and is generally very user-friendly whether you are coming as a tourist, or moving to Barcelona. The quickest and easiest way is (as with most other cities) to take a taxi. Taxis in Barcelona can easily be identified by their black-and-yellow color combination, and can be found right outside the terminal building at Barcelona El Prat Airport. This is the most common method of transportation in Barcelona when you are in hurry to get somewhere. A trip to Plaza Catalunya shouldn´t cost you more than about 25 Euros, but if you arrive very early in the morning or late at night, there will be surcharges. 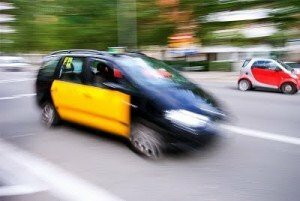 There have been reports that as of 2013, The Metropolitan Taxi Institute will be implementing a flat-rate scheme for people taking the taxi from the airport, and that this rate will be around 15 Euro, although the exact fare still has to be determined. Tipping a taxi driver is not typical, but if you are exceptionally satisfied with the service, a few extra coins will be gladly accepted. Getting around the city is easily manageable in a variety of ways. The network includes a metro, two tram networks, a bus network, aerial cable cars, two different regional train networks, and a bicycle-rental service. Transportation in Barcelona is an ever-developing infrastructure, with new metro and bus stations continuously being added to the network. The buses and metro are easy to navigate, and there are multiple applications for your tablet or mobile device that can help you plan a trip from one point to another, or simply just show you a map of the network. Buses run from 5.30am until 11.30pm, after which the “Nitbus” (night buses) can take you where you need to go. Metro times are Monday to Friday from 5.00am until midnight, Fridays and days before public holidays from 5.00am to 02.00am, and all night on Saturdays. There exists an integrated ticket system that allows you to use four different methods of transportion in Barcelona, and make three changes within an area and period of time, as long as the changes are made within the number of zones that the travel card is valid for. In addition to the bus and metro, the Tram network is also a part of this integrated system with the TMB card. The Trams are operational all year long, and offer a great alternative to underground metros, which can become exhaustingly overcrowded especially during peak-hour. Click on the picture for timetables and more information. 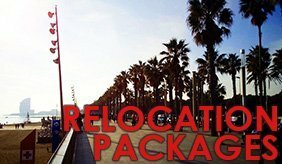 If you are moving to Barcelona and decide to live outside the city, you will more than likely depend on either of the two regional train systems, depending on which side of Barcelona you are living. The networks are Renfe, and FGC (Ferrocarills de Generalitat de Catalunya). They can take you as far north as France, or as far South as Tarragonna, and also to places like Montserrat and ski-resorts such as Vall de Nuria and La Molina. 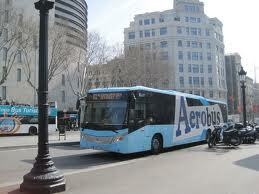 As with the Aerobus mentioned above, the Renfe network also has a station at the old terminal at the airport. It takes around 20 minutes from Sants Station, and will cost less then 3 Euros. Another great (and more environmentally-friendly) way to get around, is my means of bicycle. If you don´t have, or don´t want your own, you can easily make use of the Bicing service. You apply for a card which is posted to you, and this card will allow you to pick up a bicycle from any of the 420 Bicing stations around the city. Once you reach your destination, simply look for the nearest bicing station and return the bicyle. The whole system is fully automated, and extremely easy to easy. There are apps available to show you how many bikes are available at a specific station, or if there are any open spaces available to return your bike to. 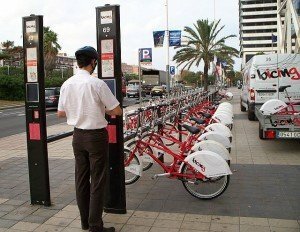 The current tarrif for the service is around 45 Euros per year, which allows you to use the bicycle for 30 minute fractions at a time. Should you go over the 30 minutes, each extra 30 minute fraction will cost 71 cents extra. During the week the service is available from 05.00 until 02.00, and open 24 hours over the weekends. To apply for the card, click on the picture.